Three topics that are directly related to the manufacture, operation, and repair of aircraft are: aerodynamics, aircraft assembly, and rigging. Each of these subject areas, though studied separately, eventually connect to provide a scientific and physical understanding of how an aircraft is prepared for flight. 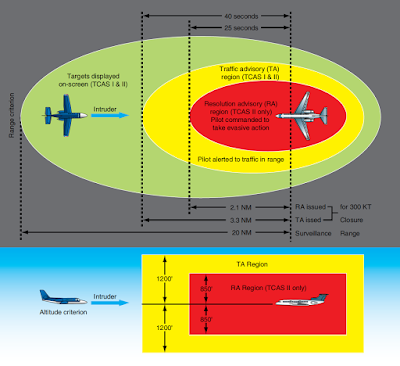 A logical place to start with these three topics is the study of basic aerodynamics. By studying aerodynamics, a person becomes familiar with the fundamentals of aircraft flight. Aerodynamics is the study of the dynamics of gases, the interaction between a moving object and the atmosphere being of primary interest for this article. The movement of an object and its reaction to the air flow around it can be seen when watching water passing the bow of a ship. The major difference between water and air is that air is compressible and water is incompressible. The action of the airflow over a body is a large part of the study of aerodynamics. Some common aircraft terms, such as rudder, hull, water line, and keel beam, were borrowed from nautical terms. 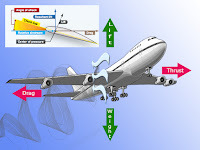 Many textbooks have been written about the aerodynamics of aircraft flight. It is not necessary for an airframe and powerplant (A&P) mechanic to be as knowledgeable as an aeronautical engineer about aerodynamics. The mechanic must be able to understand the relationships between how an aircraft performs in flight and its reaction to the forces acting on its structural parts. Understanding why aircraft are designed with particular types of primary and secondary control systems and why the surfaces must be aerodynamically smooth becomes essential when maintaining today’s complex aircraft. The theory of flight should be described in terms of the laws of flight because what happens to an aircraft when it flies is not based upon assumptions, but upon a series of facts. Aerodynamics is a study of laws which have been proven to be the physical reasons why an airplane flies. The term aerodynamics is derived from the combination of two Greek words: “aero,” meaning air, and “dyne,” meaning force of power. Thus, when “aero” joins “dynamics” the result is “aerodynamics”—the study of objects in motion through the air and the forces that produce or change such motion. Aerodynamically, an aircraft can be defined as an object traveling through space that is affected by the changes in atmospheric conditions. To state it another way, aerodynamics covers the relationships between the aircraft, relative wind, and atmosphere.